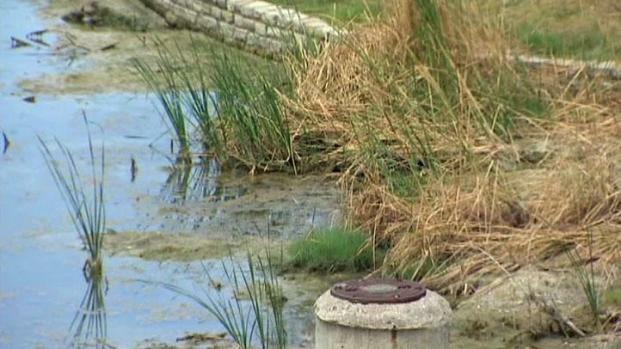 Dallas is encouraging developers and property owners to accept new ways of handling storm water that supporters say will change the city's appearance. The traditional way of removing storm water as fast as possible across paved parking lots and streets carries oil and other pollution along with it into rivers and lakes. Integrated storm water management or iSWM, retains storm water on the site instead of quickly running it off through storm drains. "It helps the environment, it helps clean up the storm water, it also makes for a prettier city," Assistant Dallas City Manager Jill Jordan said. A major change in the way Dallas handles storm water promises to change the appearance of new development, and could be a trend in other North Texas cities. Using iSWM methods, a parking lot could be constructed with gravel or paving stones that permit water to seep through into the ground, more landscaped areas might be set aside or a portion of a property may be used for a retention pond. The Dallas City Council adopted an iSWM manual in December 2009 for voluntary use by contractors and developers. Now, the city is now reviewing those policies and considering whether they should be made mandatory. The Oak Cliff Chamber of Commerce and other business groups are concerned about additional cost from the measures that could drive developers out of Dallas. "You’ve always got to create a fine balance between what is going to be economically feasible and what is going to be good for the environment," Oak Cliff Chamber of Commerce President Bob Stimson said. The Oak Cliff area and Southern Dallas have more available land to develop than other parts of the city and Stimson said those areas could suffer from these new rules. "How do you do it in a way that doesn't run off the development that doesn't run off the people that want to live here and make the cost go through the roof," Stimson said. Jordan said Houston and Austin are well ahead of Dallas in promoting iSWM and local people need to be educated about trade offs that can make the new strategies affordable. "The traditional way is I'm going to put it in a big pipe. Well under this scenario, you make the pipes smaller because you’re storing some of your water on site," she said. Furthermore, Jordan said new federal clean water rules due this fall from the Environmental Protection Agency could make iSWM mandatory for all American cities. "For right now we've got both systems operating and we were then looking to see, well should we make it mandatory? But, if EPA trumps us, then we'll do what we're told," Jordan said. A task force of engineers, business and community leaders will review the city's current rules and the federal guidelines to be released this fall. "I think what people will see is a better looking city in terms of how we handle our streets and our parking lots and it will end up being really nice looking," Jordan said. A report from the task force is expected in about a year.